The City of Genk, Belgium, became the first of the H2020 Connecting Nature Front Runner Cities to begin the process of co-created city-wide NBS exemplar delivery. 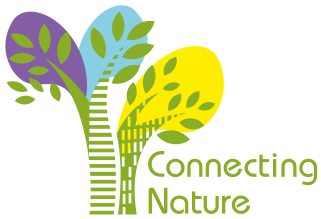 The H2020 Connecting Nature project is supporting cities in delivering re-naturing as a focus for multifunctional solutions. As co-leaders on implementation within Connecting Nature, the Sustainability Research Institute (SRI) at the University of East London have begun the process of understanding and capturing local authority expertise within Genk, Glasgow and Poznan, the Front Runner Cities that are pioneering the implementation of nature-based solutions (NBS). Part of this process includes engaging staff from diverse departments in the NBS process and understanding their expertise. This month, work began with the City of Genk, Belgium. No strangers to EU projects, Genk have a long track record of delivering sustainable solutions for their communities. The initial part of the process of understanding and capturing expertise involved a series of one-on-one interviews with City of Genk staff and other City of Genk NBS stakeholders. The purpose of the interviews was to explore existing NBS projects in the city, connect with the local actors, and to explore the drivers for NBS in the city. Led by Connecting Nature SME Osmos and members of the SRI, the interviews gave the interviewees an opportunity to engage with the Connecting Nature project, explain their roles in relation to NBS and explore their views on successes and barriers to delivery. The interviews were informal in structure but, where opportunity arose, they explored the NBS themes of finance, business, community, knowledge, infrastructure, environment, governance & decision-making, and stakeholders. An overarching aim of the process was to help Connecting Nature to better understand the city expertise in relation to NBS and identify what sets them apart as a Front Runner City for NBS delivery. As a follow up, a synthesis of the key messages from the interviews was prepared. These messages were presented at a debrief workshop in Genk, on the 2nd-3rd October 2017. The interviewees and other colleagues were invited to a working lunch with Connecting Nature academic and SME partners. This provided an opportunity for City of Genk officials not directly working on Connecting Nature to get a more holistic introduction to the aims, ambitions and opportunities associated with the H2020 project. It also represented a forum within which Genk officials could present their city context to the Connecting Nature consortium. This provided a foundation for exploring how Connecting Nature can support Genk in designing, delivering and evaluating its city-wide scale nature-based solution exemplar project. The Thorpark - regeneration of a former mine site into a hotspot for technology, energy and innovation. Blending research and industry with high quality architecture and landscape design. The NBS Connecting Nature exemplar the Stiemerbeek Valley - development of a linear park being planned through the centre of Genk along the line of the existing Stiemerbeek valley. The project will bring together social, mobility, water management and ecological solutions under a single NBS project. This process of directly experiencing the challenges and opportunities within the City of Genk has provided an ideal platform for the Connecting Nature academics, SMEs and city officials to begin the co-creational processes for NBS exemplar delivery. Following this successful model, these workshops will now be rolled out to the other Connecting Nature Fast Follower Cities: Glasgow and Poznan.